IATA announced global passenger traffic results for May, showing that demand (measured in revenue passenger kilometers, or RPKs) rose 6.1% compared to the same month in 2017, which was a slight pickup from 6.0% year-over-year growth for April 2018. Capacity climbed 5.9% and load factor rose 0.1 percentage point to 80.1%. "May was another solid month in terms of demand growth. 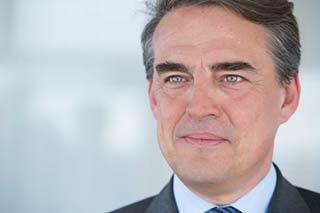 As had been expected, we saw some moderation, as rising airline costs are reducing the stimulus from lower airfares,” said Alexandre de Juniac, IATA’s Director General and CEO. “In particular, jet fuel prices are expected to be up nearly 26% this year compared to 2017. Nevertheless, the record load factor for the month signifies that demand for air connectivity is strong,"
International passenger traffic demand rose 5.8%, up from 4.6% growth in April. All regions recorded growth, led by Asia-Pacific airlines, which saw a demand increase of 8.0%. Total capacity climbed 5.4%, with load factor rising 0.3 percentage point to 78.7%. North American airlines’ traffic rose 4.9% in May compared to May 2017, a strong rebound from 0.9% annual growth in April (which was a 36-month low). Capacity climbed 3.4% and load factor increased 1.2 percentage points to 82.0%. Given the comparatively strong U.S. domestic economy, April’s weak demand performance likely was more reflective of unfavourable year-to-year comparisons with April 2017, when the current upsurge in growth began. "Last month, IATA released its mid-year economic report showing expectations of an industry net profit of $33.8 billion. This is a solid performance. But our buffer against shocks is just $7.76. That’s the average profit per passenger that airlines will make this year—a narrow 4.1% net margin. And there are storm clouds on the horizon, including rising cost inputs, growing protectionist sentiment and the risk of trade wars, as well as geopolitical tensions. And aviation works best when borders are open to trade and people," said de Juniac.